Our new Token2Shell/MD (http://token2shell.com/md/) is freshly built upon the new Windows 10 Universal App Platform. As such, Token2Shell/MD covers both Desktop and upcoming Windows 10 Mobile. Thus Token2Shell/WP will eventually be phased out and replaced by Token2Shell/MD. However, since Token2Shell/MD is a brand new app for the new platform, the initial releases of Token2Shell/MD won't be as feature rich as Token2Shell/WP. Also, some of the features in Token2Shell/WP will never be available in Token2Shell/MD. In order to minimize confusion and compatibility issues between the two versions, we'll be releasing Token2Shell/MD as a separate app. Thus Token2Shell/WP will *NOT* be upgraded to Token2Shell/MD. Token2Shell/MD must be purchased again separately. We'll be offering discounts for Token2Shell/MD when it's initially released to ease the migration from Token2Shell/WP to Token2Shell/MD. We also have lowered the price of Token2Shell/WP to $.99 (USD). Please note that purchasing Token2Shell/MD now from Windows Store covers both Desktop and Mobile versions. Although Token2Shell/MD does not yet include a Mobile version, it'll be offered free of charge to existing customers when it's included. Thank you again for your support of our software! Improved touch gesture handling on terminal screen. Two-finger tap gesture now toggles "full screen" mode on Address Book file/subfolder listing pane. 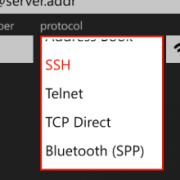 Token2Shell/WP now supports connecting to Bluetooth devices using Serial Port Profile (SPP). Token2Shell/WP now supports connecting directly to TCP sockets without applying any protocol specification (TCP Direct). You can now access Wi-Fi and Bluetooth OS settings directly from Quick Connect popup window. 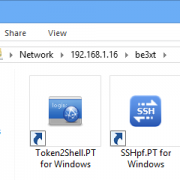 Token2Shell/WP now includes the following in-app tools for Windows 8/7/Vista/XP. You can purchase and use these tools when Token2Shell/WP share server is active. This is a portable version of Token2Shell for Windows. 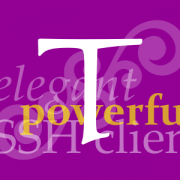 It shares the same address book entries and other essential settings with Token2Shell/WP. This is a portable version of Token2Shell.SSHpf that is included with Token2Shell for Windows. It provides SSH port forwarding for Windows 8/7/Vista/XP. 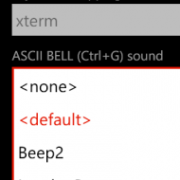 You can now assign a sound (.wav) file for the ASCII BELL (Ctrl+G) control character. Token2Shell/WP will play that sound whenever it receives the character from the connected server. 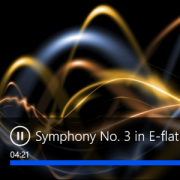 If you wish to play your own custom sound file, you just need to create it as a .WAV file and copy it to "Token2Shell\sound" folder while connected to Token2Shell/WP share server in Windows File Manager. Camera preview area for barcode scanning is moved to the bottom of the screen while in portrait mode. The preview area is also a bit darkened to improve terminal text visibility. You can now control barcode scanning focus area by tapping on the camera preview screen. You can now get audio feedback when a barcode is successfully scanned. Token2Shell/WP now correctly generates the same fingerprint values for DSA (ssh-dss) host keys as Token2Shell for Windows and OpenSSH. If you already have DSA host keys added to known hosts, you need to remove and add them again. The new versions include improvements on built-in share server. Token2Shell/WP now incorporates FileTr2 share server engine and allows wirelessly accessing its data storage area; you no longer need to use Hann Portable Server to transfer files from or to desktop computers. When you need to backup or restore address book entries and settings, or upload private key files for user authentications, simply start the share server and copy files via Windows File Manager. 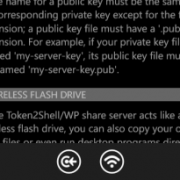 Token2Shell/WP share server acts like a wireless flash drive, hence you can also copy your own data files or even run desktop programs directly off your Windows Phone. This version 5.0.0 release is for Windows Phone 8 only. Built-in barcode scanner now makes use of phone's motion sensors. Screen resolution is now taken into account when creating Tile images for pinned Address Book entries and folders.